The United Nations Framework Convention on Climate Change (UNFCCC) were preparing for the Lima Climate Change Conference 2014. 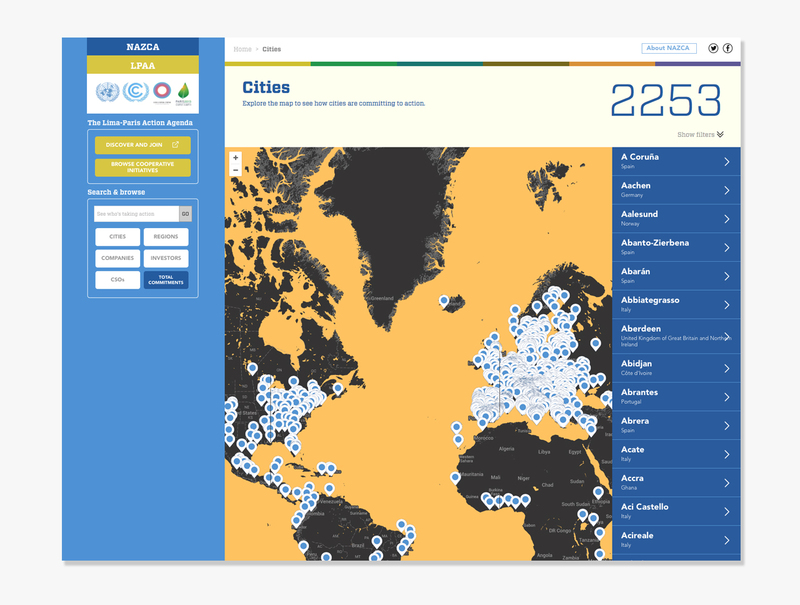 They wanted a way to showcase the thousands of commitments by cities, companies and subnational regions to tackle climate change. 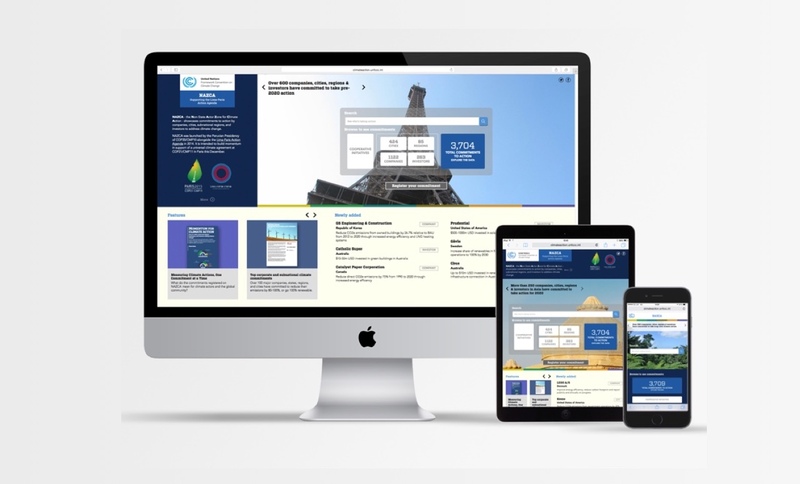 They approached us with 6 weeks to go to the conference and with members of the UNFCCC embedded in our team, we designed, built and deployed the portal visualising this data for the first time. Deployed on a server farm the site was ready for the high volumes of expected launch traffic (10M+ with the help of Leonardo DiCaprio's tweet). 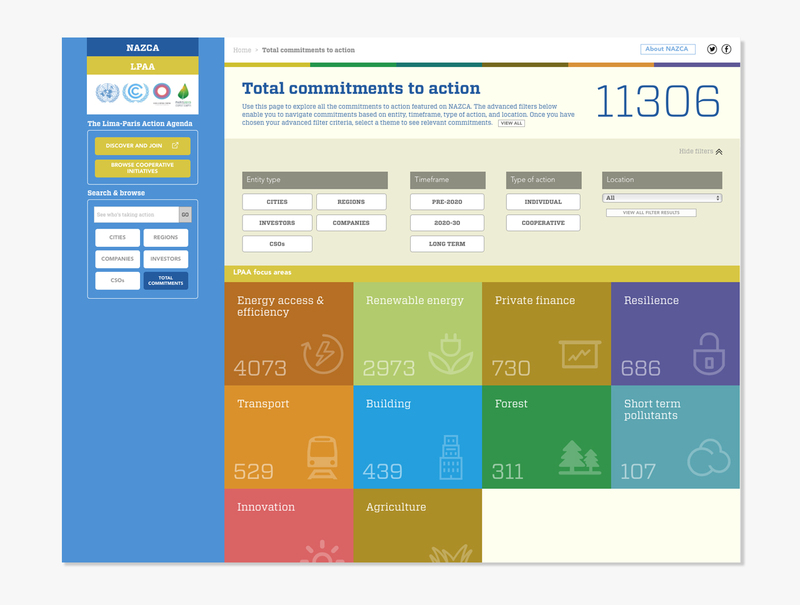 We maintained the portal throughout 2015 with minor interface changes and frequent data updates and in readiness for the Paris conference in December 2015 we produced a new improved version including several thousand more commitments, additional sections for investors and civil society organisations and improved search and navigational elements.